DVIDSA US Air Force HH-60G Pavehawk helicopter. 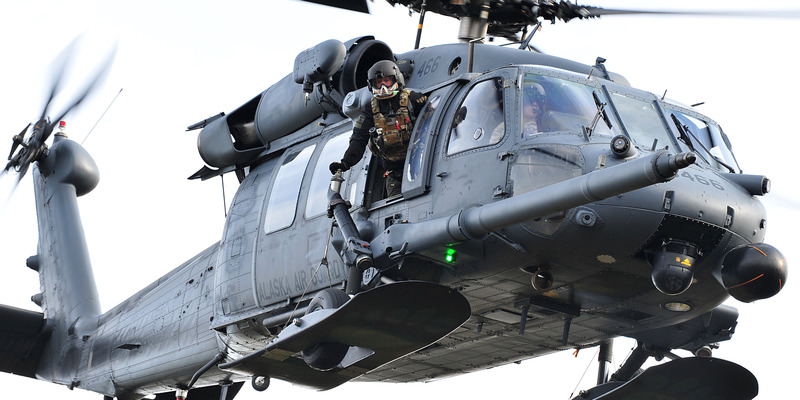 A US military Sikorsky HH-60 Pave Hawk crashed in western Iraq on Thursday. All personnel aboard the helicopter – believed to be seven crew members – were confirmed to be killed. A US military Sikorsky HH-60 Pave Hawk crashed in western Iraq on Thursday, the Pentagon confirmed Friday morning. An investigation into the cause of the crash is ongoing, but initial reports indicate the airmen were not on a combat mission and no hostile fire was taken, according to US Defence Department officials. Braga confirmed that the crash did not appear to be caused by enemy fire. The primary role of the HH-60 is to conduct search and rescue operations. As a modified UH-60 Black Hawk, the capabilities of the HH-60 includes various communications and search tools to provide medical evacuations disaster response, and humanitarian assistance. Peter Jacobs contributed reporting to this story.